I am very excited about this month’s $5 Feast as it is a great take on a warm winter favourite… Vegetarian Style! So often I think about becoming a vegetarian, not only for ideological reasons but also because vegetables are so much cheaper than meat. Last weekend I was staying with a friend who is a vegetarian and was excited to think I had done a whole weekend eating only vegetarian food… until she reminded me that I had ordered bacon with my breakfast. Oh bacon… a constant weakness of mine. 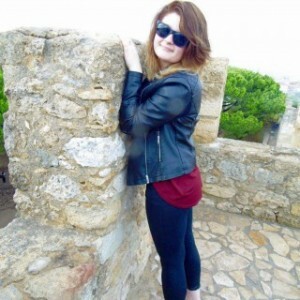 Jess is a twenty-two year Blogger and Student from the North Coast of Ireland. 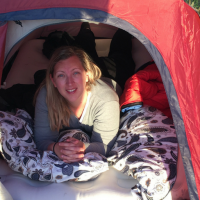 Travel and Fitness are the two things that she strives for most in life. When she is not hunched over a laptop writing essays she is out exploring the world whilst trying to get fit. I absolutely LOVE this recipe because…This recipe features potatoes! Growing up in Ireland has meant growing up with Potatoes being a staple diet; well a staple diet for myself anyway. Let me start by saying I have a love for potatoes like nothing else, be it roasted, mash, chips or in crisp form I am all over it. The Irish Culture is well-known for recipes to feature a spud or two. Prior to living a vegetarian lifestyle Bangers ‘N’ Mash with Cabbage and Bacon was one of my all-time favourite recipes. If this was the dinner being put on the table by 6pm, you know you would go away being well fed. However since 2014 – the year I began substituting meat – I’ve had to amend such recipes. Sausages became Quorn Sausages, Cabbage stayed put and the Bacon had to go. In addition to having Potatoes; this dish has room for mixing and matching. It is a yummy meal you can chop and change as you wish. How about adding more vegetables like Carrots and Parsnips or Sugar Snap Peas with Gravy? 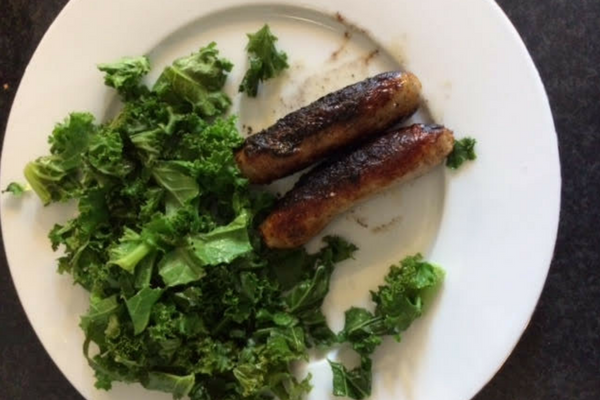 Or if you aren’t feeling the vegetarian/vegan lifestyle, try it with ordinary Sausages (which themselves are available in all sorts of flavours from your local butchers or supermarket) and beans instead of vegetables. Place two Quorn Sausages into a pan with a drizzle of Oil (optional) and allow frying for 12-15 minutes on medium heat. Wash and peel two sweet potatoes and place them in pot of hot water. Allow to boil for 6-10 minutes. Cut a portion (three tablespoons) of Cabbage and boil in a pot of hot water for 3-5 minutes on low-medium heat. 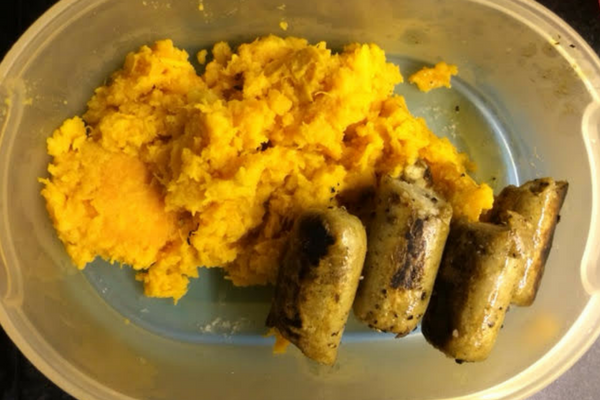 Once Sausages are cooked place on a plate to serve and scoop mashed Sweet Potatoes beside. Place a fork in the Cabbage to check if it is how you like it and serve. 1.73 pounds - see below for a break down of costs. Cabbage – 55p (whole) approx. 5p per portion.